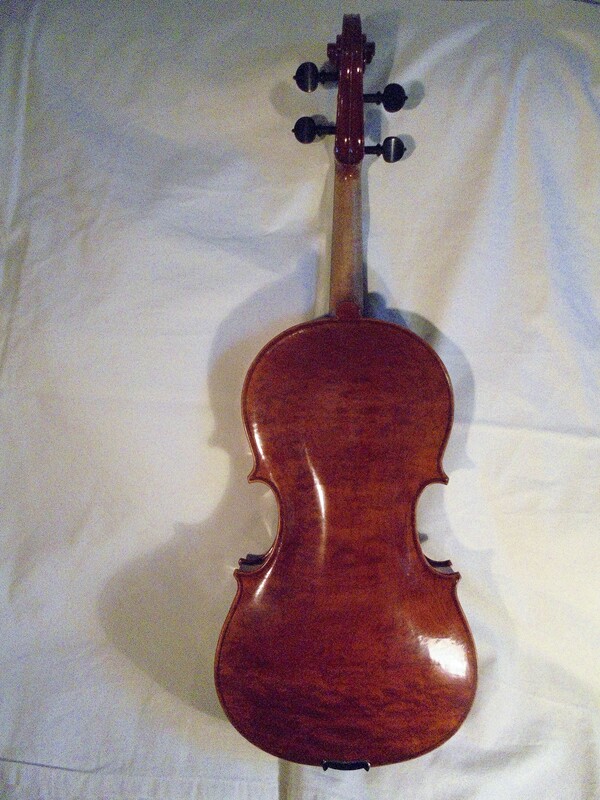 An English instrument made in Handsworth, near Birmingham, with a back length of 409mm (16”). 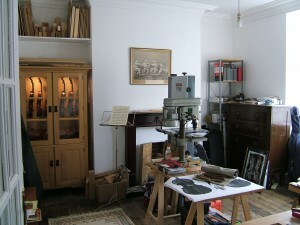 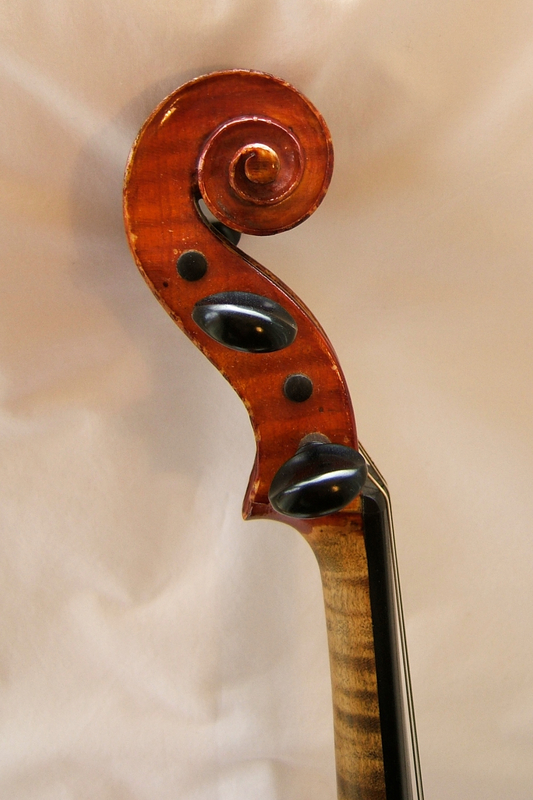 An instrument made to my own design, combining the width and hence tone of a larger instrument with a 400mm (15 ¾”) back length. 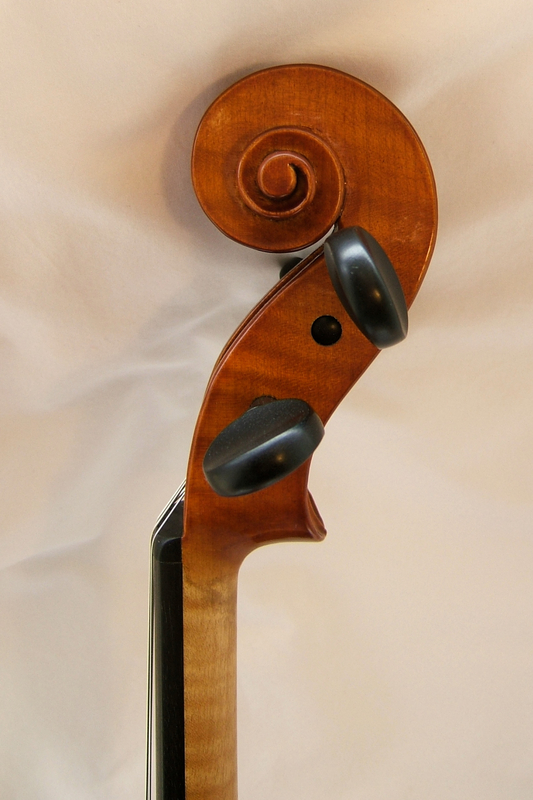 This instrument was selected by the Allegri quartet for its tone quality at their Newark School concert. 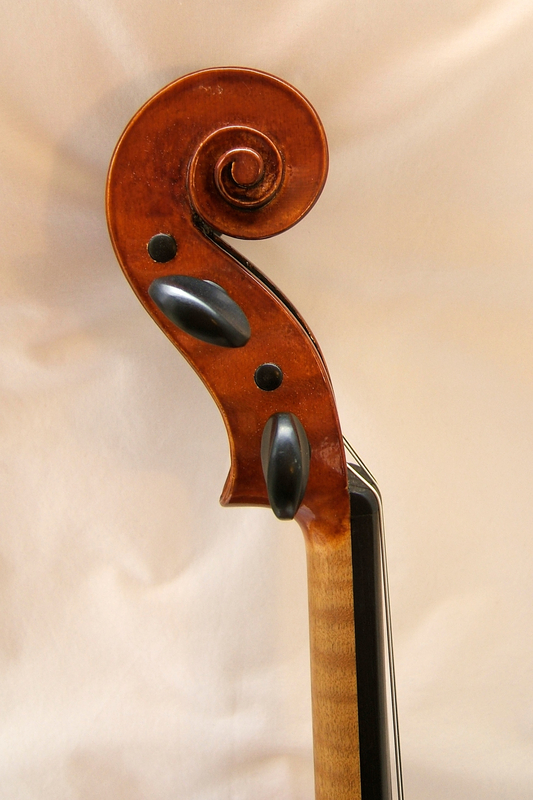 An instrument made to my own design, combining the width and hence tone of a larger instrument with a 400mm (15 ¾”) back length. 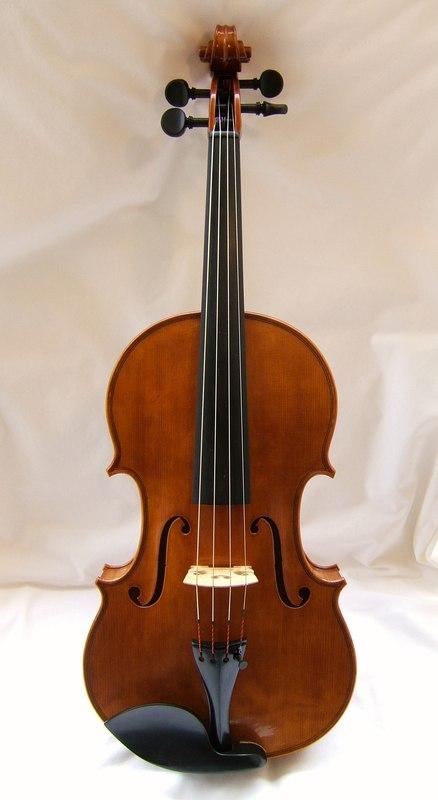 This instrument has a rich and complex depth of sound. 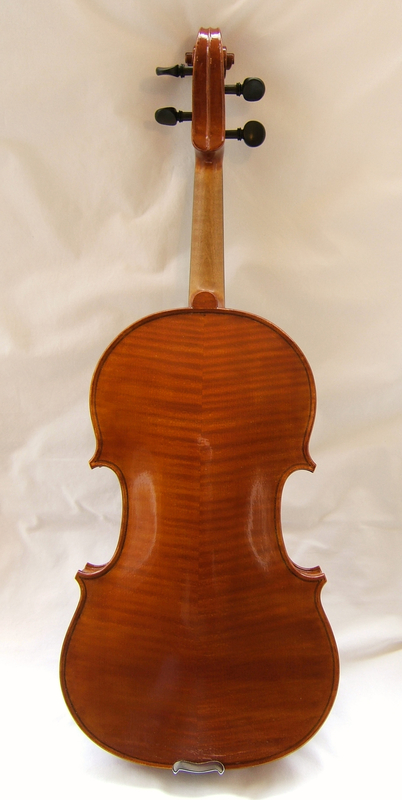 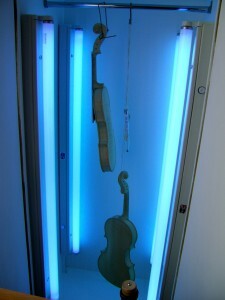 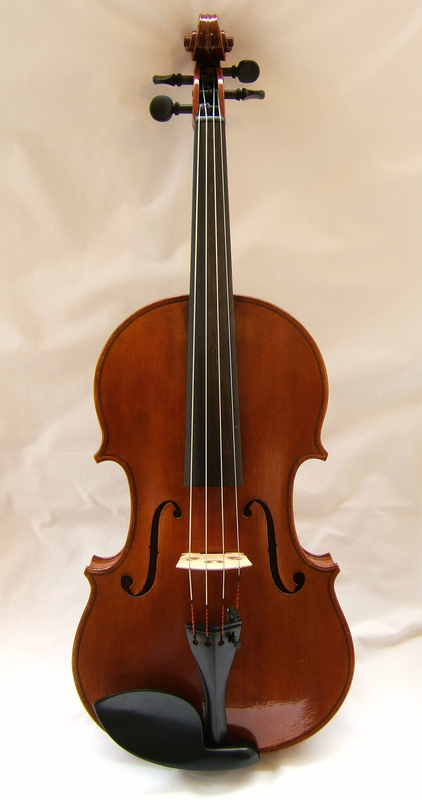 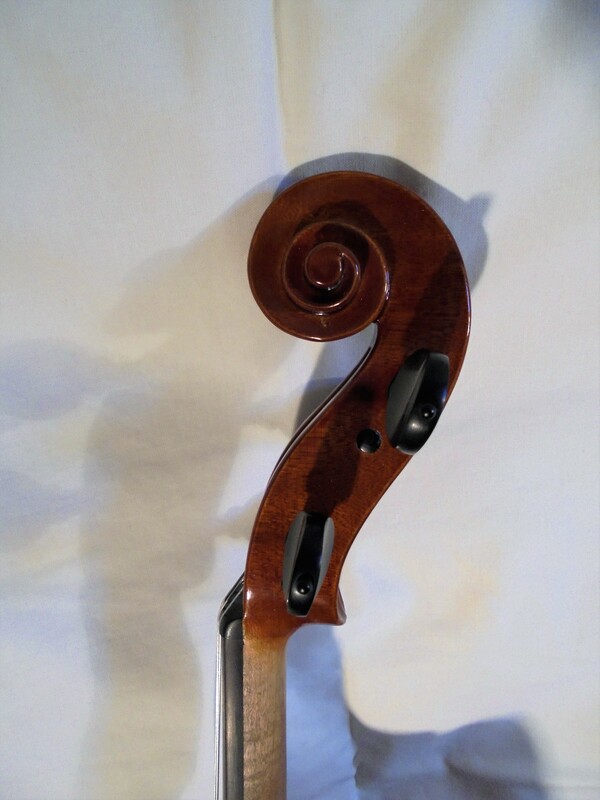 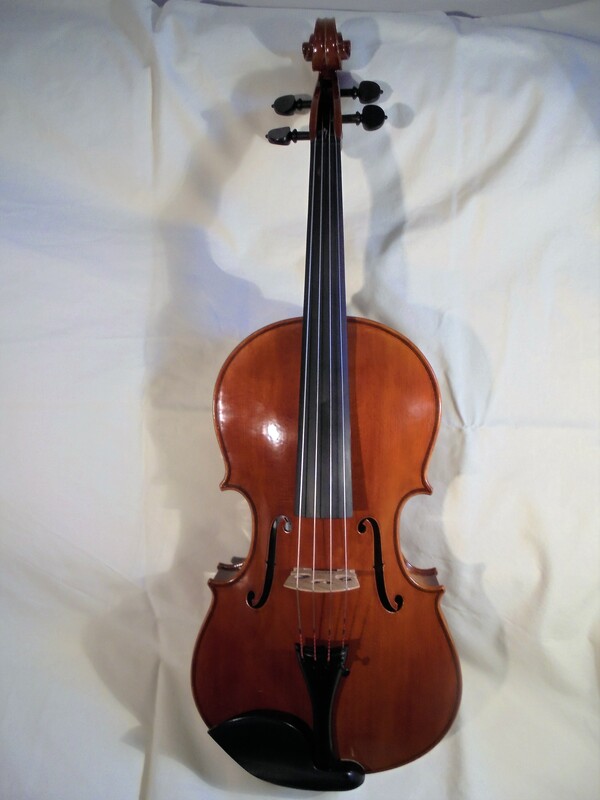 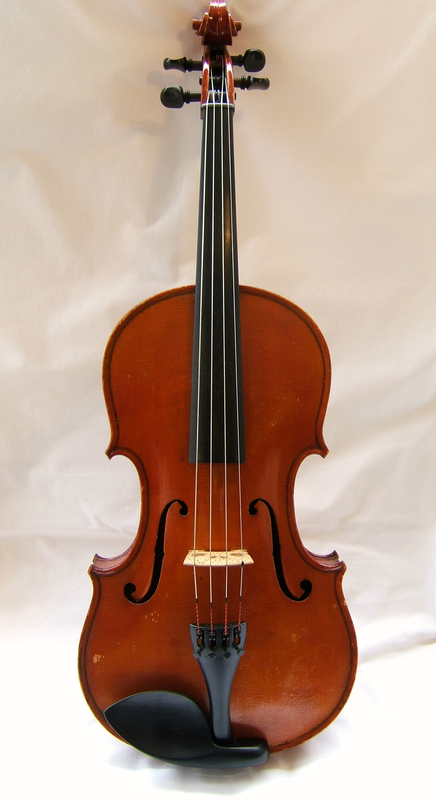 A new model of viola based on an instrument by Maggini, LOB 16 ¼” (412mm). 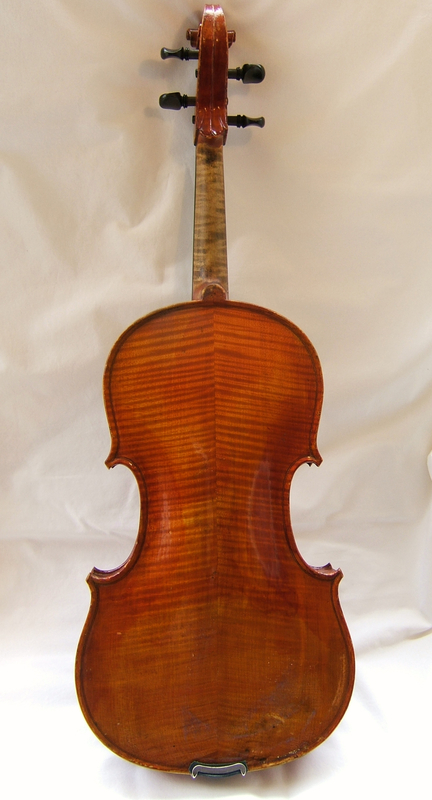 Like the original it has a one piece slab back of quilted maple, with matching ribs and scroll. 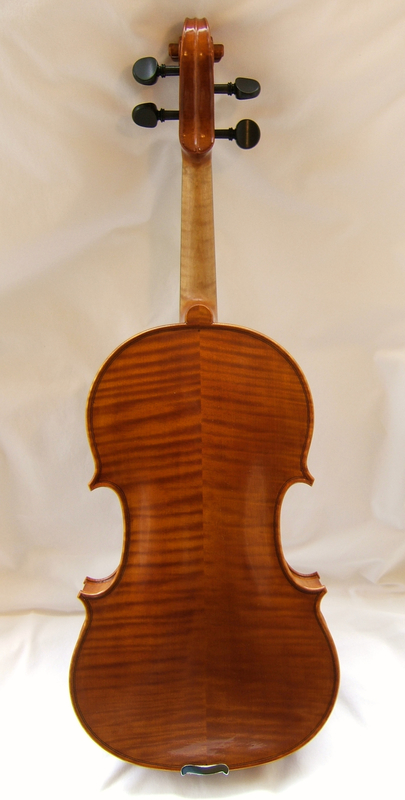 A lively and well projected tone.